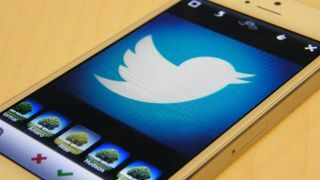 Twitter has lost its ability to display Instagram pictures in-line on the web after stopping Instagram mining its user info. Twitter says the photo rejig is all down to Instagram disabling integration with Twitter cards, which are the little drop-down boxes that display when you click a tweet featuring links from certain sites like Buzzfeed. In a tersely worded status post, Twitter explained, "Users are experiencing issues with viewing Instagram photos on Twitter. Issues include cropped images. "This is due to Instagram disabling its Twitter cards integration, and as a result, photos are being displayed using a pre-cards experience. "So, when users click on Tweets with an Instagram link, photos appear cropped." Instagram, now owned by Twitter nemesis Facebook, is no doubt still smarting after Twitter stopped letting its users collate Insta-friends using their Twitter contact lists. At Le Web, Instagram's founder Kevin Systrom explained that he wants "users on Instagram to get the full experience of Instagram" which means he wants users on Instagram to be on Instagram and not Twitter. The ability to tweet a photo as you post it on Instagram isn't going away – it's just not going to look as good to Twitterers as it will to Instagrammers. So Twitter's got what it wanted by keeping its users info to itself, Instagram's got what it wanted by keeping its "best experience" to itself and the only people losing out are, y'know, the users. Great.